Issue “Unable to start the Dolby audio driver. Please restart the computer or reinstall the driver if the problem persists.” usually occurs after Windows upgrade or reinstall, especially upgrading to Windows 10. If you meet this problem, don’t worry, as it could be easily fixed. Just follow steps in this post. Then the pop-up error message will be gone. To resolve the problem, follow these steps. Firstly, uninstall all audio driver software. 2. In Device Manager, expand category “Sound, video and game controllers”. 3. 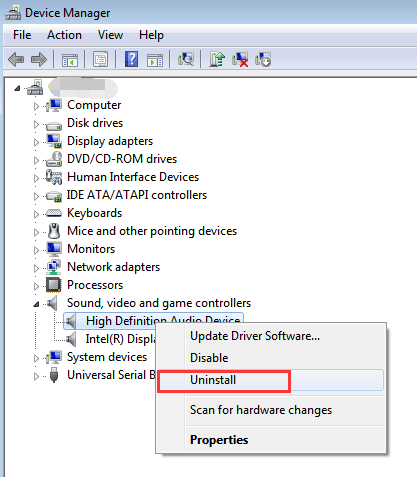 Right-click on the device and select Uninstall from the context menu. 4. Windows may prompt you to confirm the uninstallation. 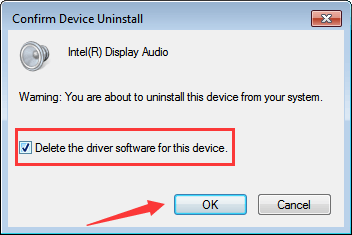 Check the box next to “Delete the driver software for this device.” then click “OK” button. If you have more than one audio device under category “Sound, video and game controllers”, repeat these steps to uninstall them one by one. 5. 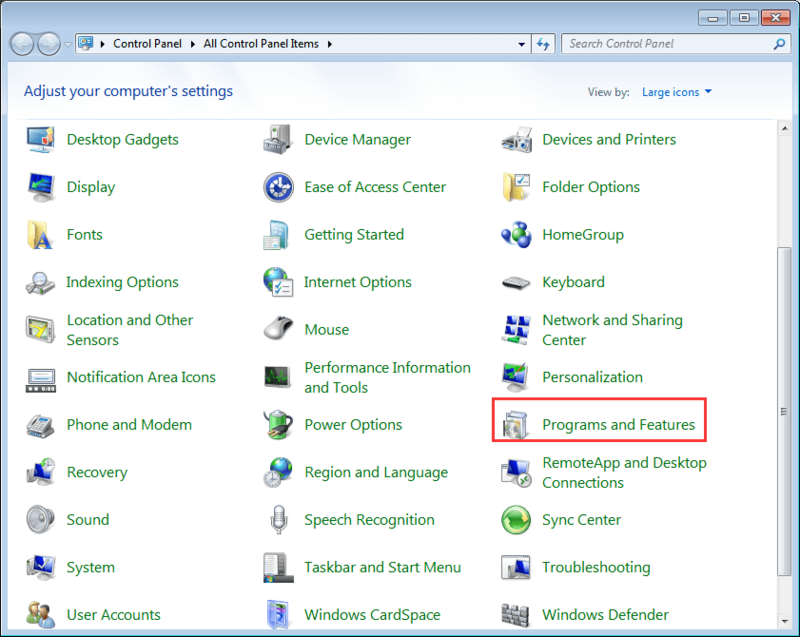 Go to Control Panel-> Programs and Features. 6. Uninstall all programs relates to the audio & Dolby software. You can locate them from the program name. 7. Reboot your PC for the change to take effect. Generally, audio driver can be downloaded from audio card manufacturer’s website and PC manufacturer’s website. But in this case, you need to download the driver from the PC manufacturer’s website, because the audio driver released by PC manufacturer will be customized with Dolby components. Before you get started to download drivers, ensure that you know the PC model name and the specific operating system that your PC is running. After updating the driver, restart your computer then the problem should resolve. It is good to upgrade to new system, but in the same time, you probably will have driver problems. Like this Dolby driver issue, it is mostly caused by faulty audio drivers. You can check driver status for all devices in Device Manager. If you see a yellow mark next to the device name, the driver is having problem. You can download and install new drivers manually, but it can waste you much time. If you don’t know much about this area, you probably won’t find the right driver. To solve driver problem easily and quickly, you can use Driver Easy to help you. With Driver Easy, you can update the driver within just several minutes. You just need to click here to download Driver Easy and install it on your computer now. Driver Easy has Free version and Professional version. With Professional version, you can update the driver with just 2 clicks. No further steps are needed. Even more, you can enjoy free technical support guarantee. Regarding the Dolby issue you’ve met, you can contact us at support@drivereasy.com for further assistance. Our professional support team would help fix the problem ASAP. Just download Driver Easy now. You can have the problem fixed very quickly.